5 star review byRachel J. 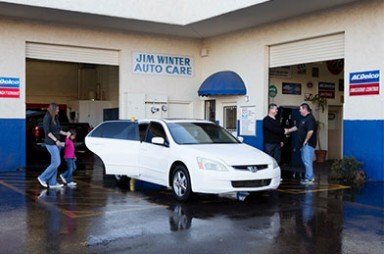 Welcome to JW Auto Care, the trusted auto repair shop for Scottsdale and Tempe drivers.When you enter our state-of-the-art facility, you will immediately notice our atmosphere of genuine warmth and kindness, and if you walk out to our garage, you will find our auto mechanics working together to secure the longevity, reliability, and safety of your car. JW Auto Care was established in 1966, and we have seen generations of Scottsdale and Tempe customers pass through our doors. We don’t just aim to fix your car accurately and quickly, but we look to develop a relationship with you. When you are having an issue with your vehicle, we want you to turn to us, confident that we will take care of the problem. At our auto repair shop, near both Scottsdale and Tempe, we educate and inform you about the condition of your car. After our auto mechanics perform a thorough inspection, we will present you with a detailed report, complete with photographs and explanations you can understand. 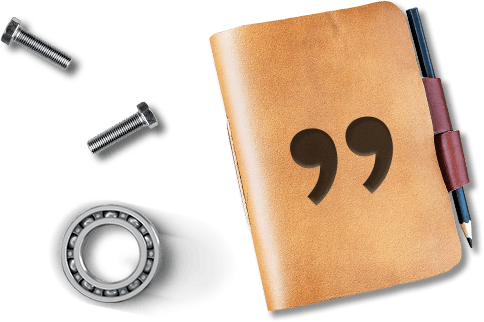 Auto repair can sound like a foreign language, but we make sure to break it down for you. We will prioritize the repairs, based on three categories, safety, maintenance, and comfort. 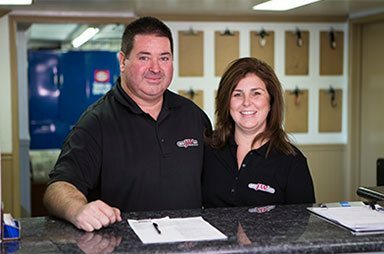 Our team of auto mechanics, just like our clients, have been with us since the very beginning. We learn, troubleshoot, and grow together. A team of experienced and knowledgeable professionals will be working on your vehicle. In fact, our team runs like a well-oiled machine, no pun intended. If there is an issue with your car, we will get to the bottom of it. We stand behind the quality and reliability of our work 100%. That’s why we offer a nationwide 3-year/36,000-mile warranty on most auto repairs performed by our auto mechanics. 5. While our auto mechanics take care of your vehicle, the rest of our team will take care of you, your children included. You will arrive at our facility and immediately notice our clean and comfortable waiting room, complete with a TV, WiFi, and a selection of beverages. We also offer you use of our shuttle and loaner car service. Upon leaving our auto repair shop, you will notice the flowers or mints on your driver’s seat, along with how clean your car is, as if time permits, your vehicle will be washed and vacuumed. If you need auto repair for your domestic or import vehicle, JW Auto Care is easily your best choice. 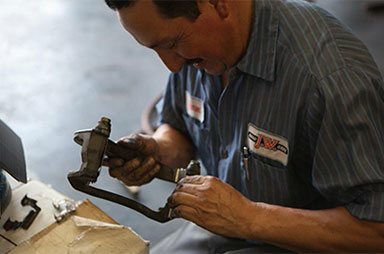 We offer expert auto service and repair, but our dedication to taking care of you and your family is unparalleled in the Scottsdale and Tempe communities. You have enough to worry about, so let our team take some of that weight off your shoulders. For auto repair, schedule an appointment online. We are conveniently located at 3011 N. 73rd Street, Scottsdale, AZ 85251. JW Auto Care provides complete automotive service and repair from air conditioning system maintenance to wheel balancing and just about everything in between. 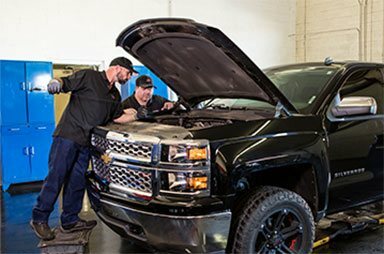 Our ASE-certified technicians understand how much you rely on your vehicle, so they’ll take care of it as if it were their own, and get you back on the road as quickly as possible. All parts used to repair or service your vehicle are of the highest quality available and we stand behind our work with a Nationwide 36 month or 36,000 mile warranty. Eco-Friendly! JW Auto Care takes extraordinary efforts to protect our environment by helping our customers maintain the most efficient and safe vehicles possible. 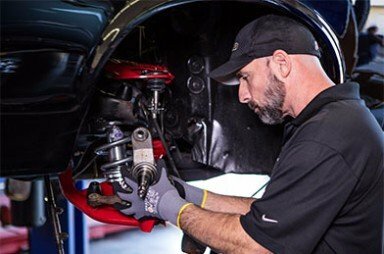 By maintaining a vehicle in good working condition with proper tires & inflation, tune-ups, alignment, and regular oil changes our customers will experience increases in fuel economy as well as reduced emissions. The fact is that all of these preventive measures help you avoid costly repairs and they improve gas mileage. Both are good for your wallet and the environment.